With Xmas Day falling on a Sunday this year and the next scheduled match not until New Year’s Day, I thought I’d put it out there to see if anybody fancied a knock up midweek. I suggested the Weds or Thurs and asked people to let me know their preference, it was a close run thing but in the end Weds just edged it although I probably could have run two matches and both would have been well attended! I was expecting maybe ten anglers, maybe twelve at the most but had to stop taking names when I got to seventeen! There were a few anglers fishing the pond for the first time and I was hoping they would have a good day. By Monday, I was seriously bored so I actually did a bit of prep and changed my catapult elastics, made a couple of rigs up and tied some hooks. 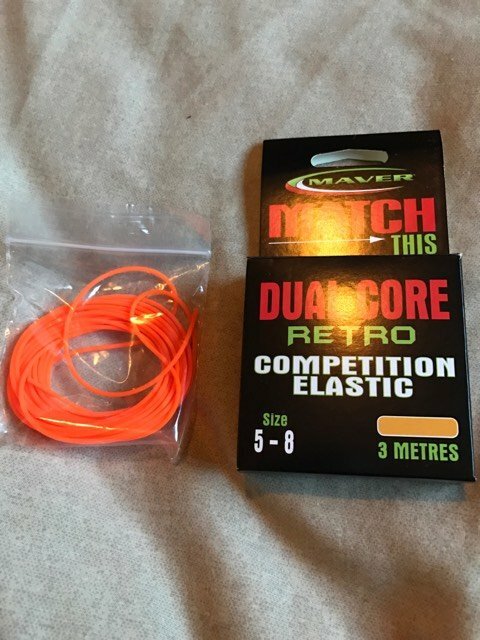 I’d also been lucky enough to win some Maver elastics in a competition they ran on Facebook over Xmas, so I thought I’d try out the lightest one first, the orange 5-8. I woke up to a hard frost (the second one on the trot) and by the time I’d defrosted the car and loaded my kit, I was running late again (nothing new there then!). I met some of the others at the Little Chef in Ilminster for breakfast and I have to say it was very good albeit rather expensive, I might even save up and go there next Sunday! We headed out the pond and although we were nearly the first ones there, it didn’t take long before the others turned up. Everybody paid their pools and then I tried to work out which pegs to use to give everybody a chance and I have to say it’s a nightmare and I don’t envy match organisers at all. I really wanted to leave pegs 1 and 24 out as they are either side of a bush and can be feast or famine, also with several anglers fishing who I knew would want to fish the feeder, I had to try and leave corner pegs out or else they would be casting over each other. We ended up putting peg 1 in and I have to say I really hoped I didn’t draw it, I also left out peg 10 and put in 11 and 12 which in hindsight was a mistake and I think pegs 3 or 16 would probably have been better. 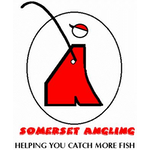 The draw was announced and Steve P drew for John Dursley who was running late and he pulled out peg 9 on the far side for him, then the usual free for all began and by the time I got near the bucket there were only three balls left with Scott, Ash and me still to delve in. I hadn’t heard anybody admit to peg 1 yet and I started to think it was still in the bucket of destiny. Scott went first and drew peg 6 and then Ash went in and grabbed the two pegs left before asking me to point to which one I wanted, I went for his left hand and when he opened it, number 19 was staring back at me, although it’s normally reserved for Karl but as he wasn’t fishing today somebody else could have a go!. I was well chuffed with that as I can’t remember the last time I was on the near bank. Ash looked at the last ball which turned out to be peg 7 so the Tackleuk boys would battle it out next to each other. 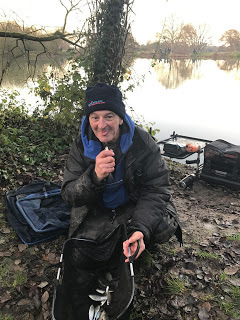 Hurf had ended up with peg 1 and didn’t look too happy, Paul H was on peg 2 and Jeff Sparkes was on 4 which is normally a good winter peg and as he took his kit round he said there were fish topping. 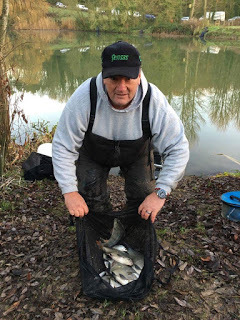 At the other end of that section, Frank was on 8, then John D, Scotty Jackson was on 11 and didn’t fancy it and then Jake was in 12 and to be honest he was a bit hemmed in and wouldn’t be able to fish the feeder. Then in our section Nick P was on 13 with Rich S next door on 14, Steve P had 17 and Rob could use his WiFi password again in 18. Young Stuart was next to me with Bill ‘The Paste King’ Hopping on peg 21 and last but not least, Dean, who was fishing his first match with us, was on 22. 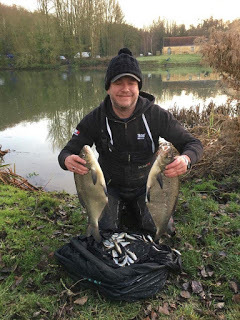 After getting my box level, the first job was to mix my groundbait up and as always I had Bait-Tech Pro Natural Dark, which is all I use now out the pond, a brilliant roach groundbait. 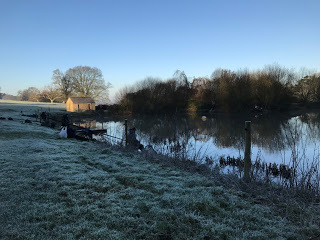 It was a cold frosty morning and with the pond flat calm, it could be hard going today although I still thought double figures would be needed to do well. 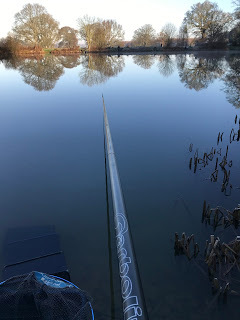 I set up a 0.5 gram Drennan Roach float for 10 metres, a 4 x 16 Preston Chianti for 11.5 metres, both on the deck and a little Preston Chianti for fishing shallow (not used). On the side tray I had maggots, pinkies, casters and Bait-Tech Super Seed Hemp. 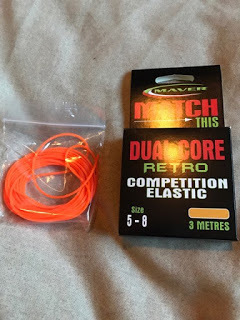 On the whistle I cupped in two balls of groundbait at 10 metres and started with double pinkie on the hook, I was hoping to catch quite quickly but the float just sat there and I started to think it might be a bit of a wait before we started getting bites. I could see Jeff, Scott and Ash on the far side were getting the odd small fish and thought it would just be a matter of time before we started catching. After 45 minutes, I still hadn’t had an indication of any kind and I hadn’t seen anybody on our side catch. There were still quite a few small fish topping and when I saw Rob catch a roach on the feeder, I felt I needed to try something else, so picked up the rig for the 11.5 metre line and went out with a single pinkie on the hook, I was just about to feed a few casters when, to my amazement, the rig settled and sailed away, a few inches of my new Maver orange elastic emerged on the strike and I swung in a small roach to get me off the mark. Two more in two chucks followed before there was an almighty commotion from the next peg as Stuart fell off his box! Luckily he hadn’t gone in the pond, which wouldn’t have been good on a day like today, me and Bill went and helped him up and made sure he was okay. 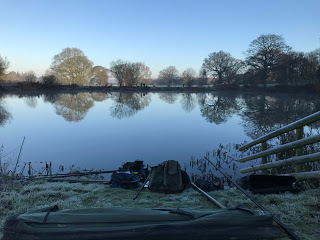 I went back to my peg and it was a bite a chuck and I was catching really well, Scotty asked how many I had, I said 22 and he said he was on 26 so despite my blank first hour I wasn’t too far behind. I got up to 28 fish after the second hour and then tried the 10 metre line again and had a fish first chuck, I had a further 36 fish over the next hour, mainly tiny roach although I did net a couple of 3oz roach and a similar size rudd and was doing well, most people were getting odd fish but nobody was bagging, I did see Nick P land a skimmer over on peg 13. 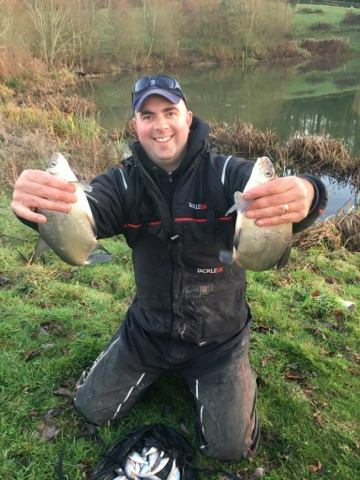 I was having real problems with my Drennan Aqua elastic hanging out the end of the pole and I think it had frozen! I was catching on single red maggot but kept trying caster but they weren’t really having it yet and I only had a couple of tiny fish on it. Things started to slow in the fourth hour and I only added another 21 fish. Then Scotty hooked a big fish and slipped the net under a good bream to put him in the driving seat. 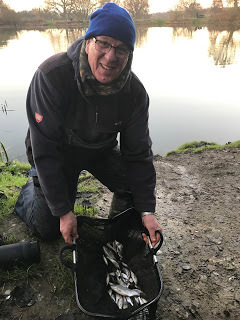 Not long after Ash landed a decent skimmer and then Paul H had a couple of skimmers in quick succession on the feeder and all of a sudden I’d gone from doing really well to needing a bonus fish if I was to do any good. With around an hour and a half left, I bumped what felt like a much better fish and I was trying caster more and more in the hope of getting some better roach but it still wasn’t really happening. Ash had a second decent skimmer and Paul also added a couple more and I was starting to think my only chance of picking up today would be a section win. 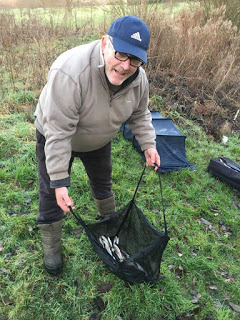 Then with an hour to go I hooked a better fish on caster and as I carefully shipped back I could see in the gin clear water that it was decent skimmer and I gratefully netted a pound and a half fish to put me back in the hunt. 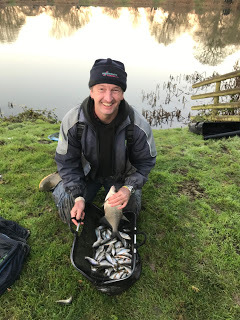 I was still getting the odd roach but none of the usual quality you get on caster, then Scotty had another bream to go even further ahead, Paul netted another decent fish and Rob was also catching roach really well. I kept putting odd fish in the net and at the end of the match, the clicker was reading 116 and I thought I probably had 7-8lb which I hoped might give me a chance of the section win. 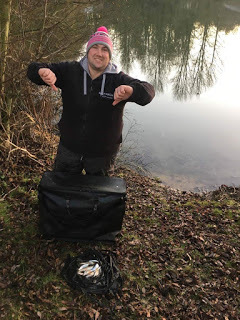 I packed up and loaded the car before catching up with Rob and the scales, he’d already weighed Nick P in who had done well to catch four skimmers for 4lb 12oz from peg 13, Rich S didn’t weigh and then Steve P had 1lb 5oz. 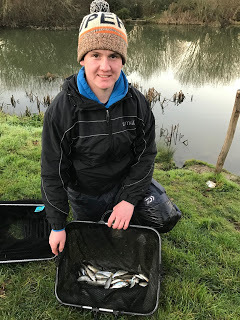 Then we got to Robs peg and he had caught really well in the latter part of the match to weigh 5lb 5oz, I was next and my fish went 7lb 5oz which was little less than I thought but a lot of those roach had been tiny. 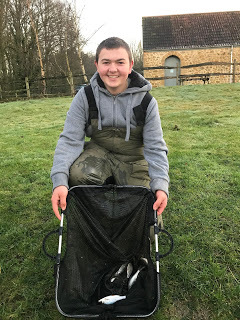 Young Stuart had struggled for 7oz but at least he hadn’t fallen off his box again, Bill had 10oz and then Dean weighed 1lb 8oz so I’d at least won my section. Young Stuart struggled for 7oz but as least he didn’t fall off his box again! So I ended up in second place and picked up £60 plus £3 in side bets so a nice match to finish 2016 on, it had been hard going but I’d quite enjoyed it and had plenty of bites. Well that’s my final match of the year and I hope you enjoyed reading about my ups and downs and thanks very much to everybody who has taken the time to give me feedback or say nice things. 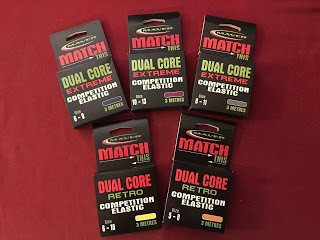 I really do appreciate it and as always, if you want to send me match results, photos or anything fishy related, just get in touch via the contact form in the side bar on the right hand side of the blog. 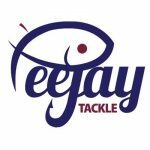 I’m always looking for ways to keep the blog interesting and moving forward and would welcome guest blogs, so if you’ve got anything you think would make a good read like a review, a particularly good fishing trip or tips and tactics just let me know.